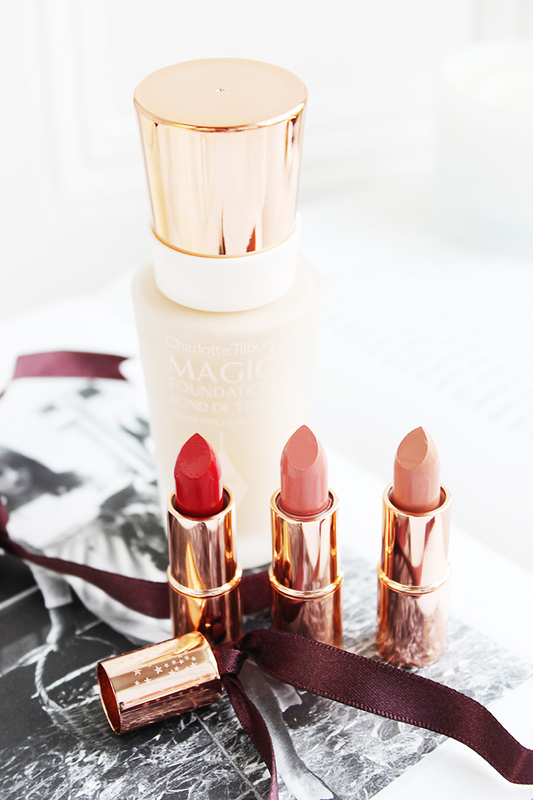 I remember first hearing about Charlotte Tilbury as a brand about a year ago, and since then I've been lusting after pretty much every product I saw. Yesterday, I decided to bite the bullet and order my first ever CT products - and definitely not the last. And much to my surprise, my order came next day, what a dream! 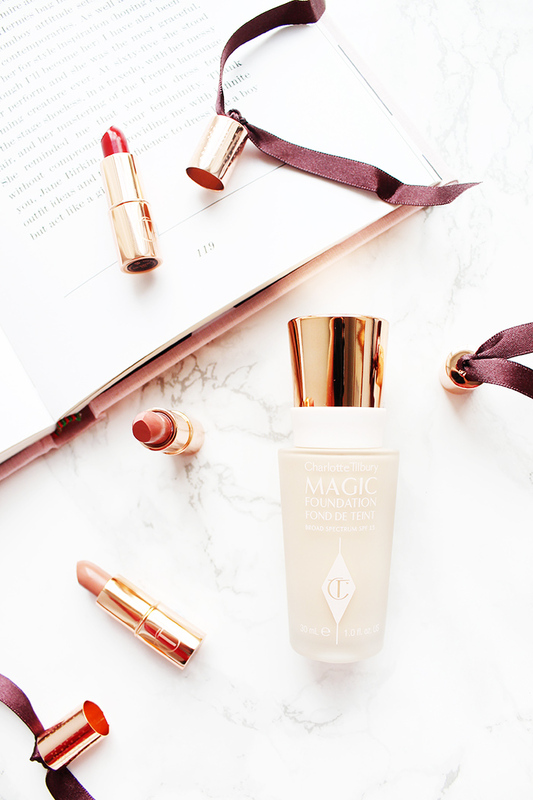 The Charlotte Tilbury Magic Foundation has blown up in the bloggersphere and I knew this was a product I just had to get my hands on, it's described as having a 'flawless, long lasting coverage' and it is just that. 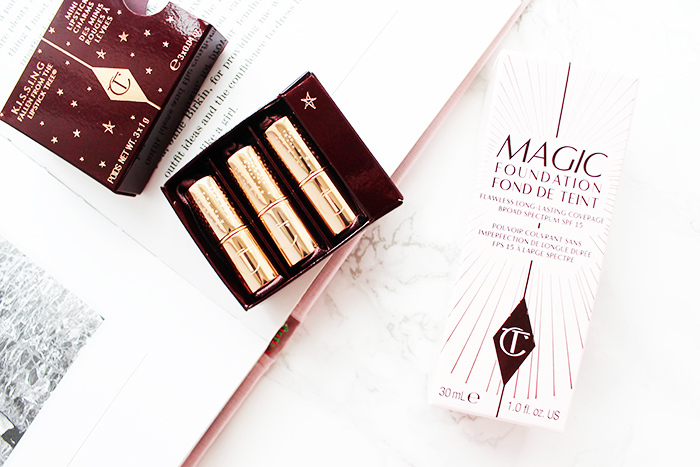 I firstly have to comment on how beautiful the packaging of these products is, the foundation is packaged in a glass bottle with a stunning rose gold lid, it's weighty and feels so luxurious and expensive (which it was, oops!). The foundation itself is a medium to full coverage, dependant on what you use to apply it; I used my beauty blender and it gave my skin the most flawless, even finish, and most impressive of all? It still looks like skin. I can't wait to use this even more and I'll definitely have a full review up soon! I've never actually owned a higher end foundation, so I'm super excited. As well as the Magic Foundation, I also managed to pick up the CT mini lipstick charms. Now what shocked me when I opened these were how tiny they actually are, at first I was disappointed but then I saw the colours of the lipsticks, and I quickly got over that. The lipsticks are small, yes, but the packaging and product itself makes up for that fact. 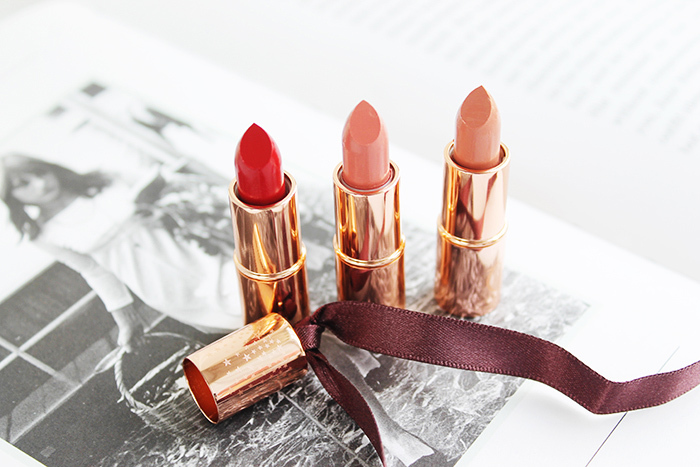 And personally, I think this set is a great introduction into Charlotte Tilbury lipsticks - I get to try 3 shades for a similar price as one lipstick! So far, I'm incredibly impressed with Charlotte's brand and products; the packaging is to die for, the products themselves are of an astounding quality and I know I'll be revisiting the CT website very soon. If anyone would like to see a full foundation review, just give me a shout! Have you tried CT? What're your favourite products?